Are you tracing your ancestors? Welcome to the Home Page of the Parish Church of the Blessed Virgin Mary at Barton-on-Humber. We are in the Diocese of Lincoln in the Province of Canterbury of the Church of England. The parishes of Saint Nicholas, South Ferriby; Saint Maurice, Horkstow and All Saints, Saxby-All-Saints are now part of our parish grouping, and it is hoped that in due course they will have their own pages, possibly on this site. the Explore Churches web site, Wikipedia, A Church Near You, Google my Business, FaceBook and Twitter. 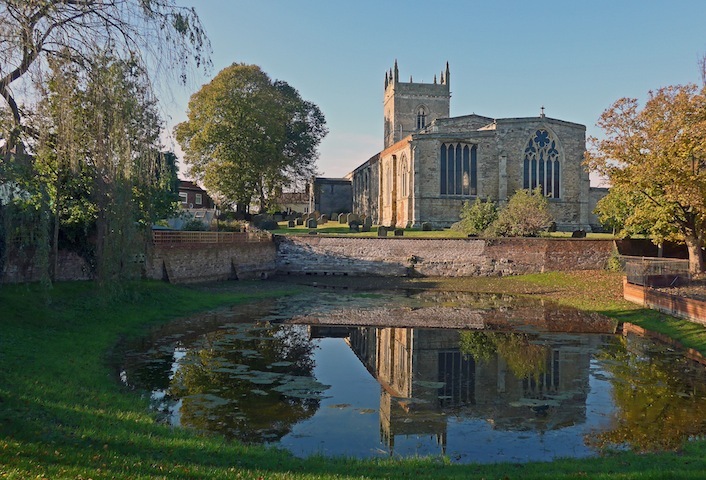 For many years, Barton had two churches a few hundred metres apart, but the internationally known tenth century church of Saint Peter is no longer used for regular worship, but is under the care of English Heritage and is open at weekends. Potential visitors to Saint Peter's should check the opening hours on the English Heritage web site. At the weekend of September 2-3, 2018, thieves stole the lead from the roof of the South Aisle. Emergency measures are in place to make the building waterproof, but reroofing will be essntial. Much of the cost will be covered by insurance, but not all the costs. The church also needs repairs in other parts of the building. We are urgently in need of financial support to rectify these problems. We shall of course be seeking grant support for these changes, but every penny that visitors and friends can contribute will be very gratefully received, so that the church can continue to serve the people of Barton as it has done for the last 900 years. The best way to help us is by joining the Friends of Saint Mary's our new support body. Please follow the link, or contact the churchwardens for further details. Access to Saint Mary's is usually available on most days, as it is a Cascade church in the Lincolnshire Church Tourism Cascade. You can visit it and adjacent churches in the area as part of the Northern Lincolnshire Church Trails scheme. Provision has been made for level access for wheelchairs, baby carriers, zimmer frames, and spaces are available in the body of the church for wheelchair-using worshippers. An amplifying loop is used at services to facilitate those using hearing aids. Vistors often comment on the lightness of the church, due to its relative lack of stained glass. 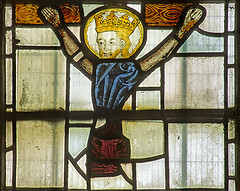 The East window, however does contain a composite panel of fragments of mediaeval glass, as shown below. In 2012, an image of the Blessed Virgin Mary was presented to the church by a parishioner. Adrian Worsfold is thanked for valuable advice, for the plan of the church, for the coloured St Mary's logo and the Barton church map. The Rev Gordon Plumb is thanked for many of the photographs. Site built using Adobe Dreamweaver® 8 and maintained by the Webmaster, Peter J. Large. Click my name for a direct E-mail link, if you have any enquiries or requests for our prayers. Please pray for us and our work in serving Jesus Christ in Barton. 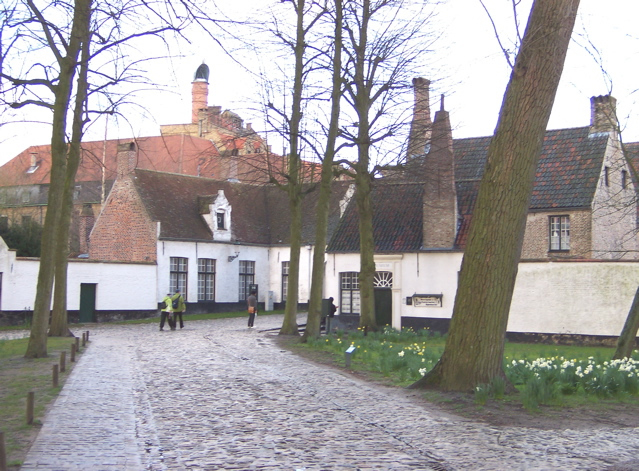 The Diocese of Lincoln is twinned with the Roman Catholic Diocese of Brugge in Belgium (Dutch language only), and with the Dioceses of Tirunelveli and Tuticorin-Nazareth in the Church of South India. The recommended browsers to view this site are FireFox (any platform), Google Chrome (any platform), Safari (any platform), Vivaldi (any platform) or Opera (any platform). We do not recommend MicroSoft products. Site optimized for iOS hand-held devices. Android users may have to scroll.